Post news stories and home video release announcements here. precode wrote: We should also urge them about Raymond Griffith--HANDS UP! at the very least. True, and speaking of Raymond G, I was also thinking of CHANGING HUSBANDS. Not as well known as some of the other titles, but it's terrific. Could we finally be getting STARK LOVE? I would die of happiness if we did. Old Ironsides and The Covered Wagon are more-or-less safe commercial bets for Kino, but if Stark Love were to be the artsy companion to Beggars of Life, we wouldn't be doing too badly, would we? Twinkletoes wrote: Oh, ya big blister! 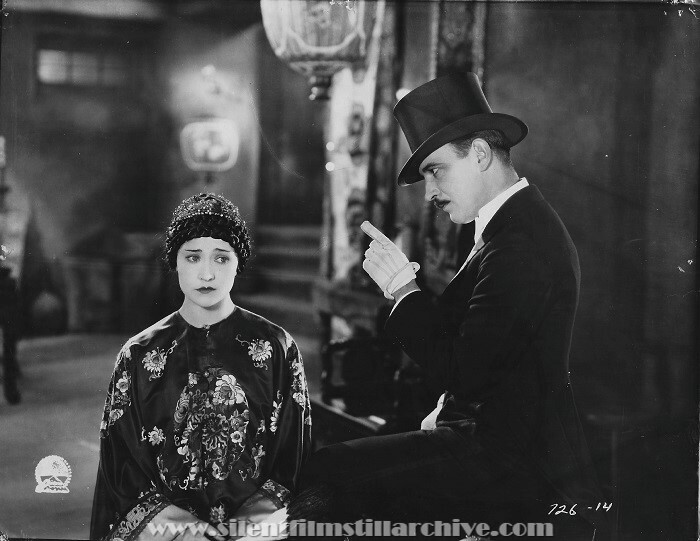 There's also Paths to Paradise (1925) with Betty Compson and Raymond Griffith. There are several Raymond Griffith short comedies extant that would make great extras. I know somebody that would love to contribute a commentary track, and I work really cheap! It's time for a Ray-naissance! There is actually a Blu-ray of PATHS TO PARADISE available, a recent Grapevine BD-R release. I haven't watched it all yet, only spot-checked scenes, but it looks fairly good, comparable to my old 16mm print, which is a pretty nice reduction or very good dupe. The BD-R was likely sourced from a very good 16mm print, and also has a good organ score. Of course an official version scanned from archival 35mm elements with a multiple score options and few bonus features, especially a featurette or reconstruction on the lost final reel (and yes, an audio commentary) would be all that much better. Meanwhile the Grapevine PATHS TO PARADISE Blu-ray ( http://www.grapevinevideo.com/paths-to- ... luray.html" target="_blank" target="_blank ) looks better than a DVD and lots better than a VHS or streaming video copy. s.w.a.c. wrote: It's time for a Ray-naissance! In every weigh scene a paramount effort! I didn't mention PATHS because the missing last reel might be a dealbreaker. I actually like Paths to Paradise better than Hands Up myself, even with the last reel missing. It certainly goes over tremendously with an audience. The next to last title is Old Ironsides. Rodney wrote: I actually like Paths to Paradise better than Hands Up myself, even with the last reel missing. It certainly goes over tremendously with an audience. Plus, it's not a picture where the missing reel detracts significantly from the storyline. It ends satisfyingly, if a little abruptly. 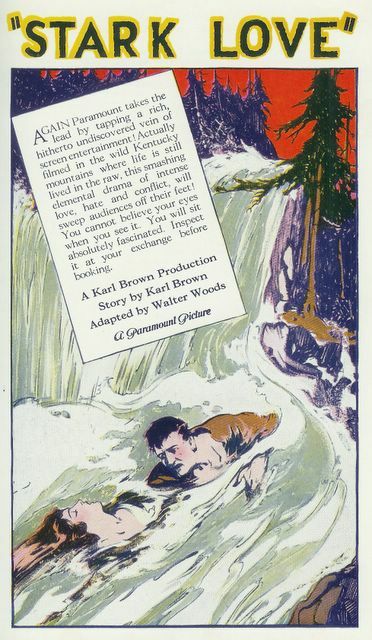 From memory (Bruce will probably have more on this), no photos exist from the missing reel which would hinder reconstruction, but I honestly think it doesn't really need it in the way that something like Bardelys the Magnificent (1926) certainly did. 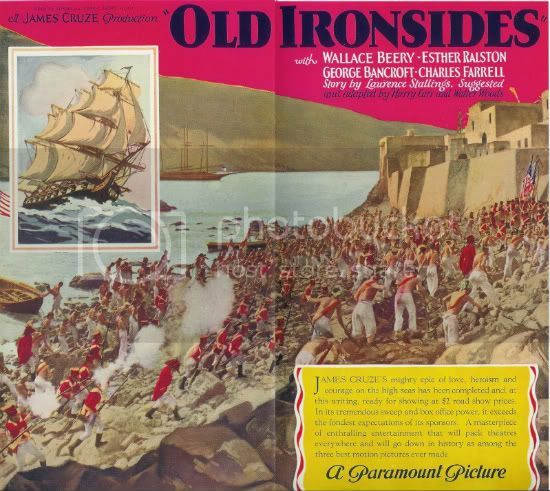 mwalls wrote: The next to last title is Old Ironsides. Just saw Kino confirm this on Facebook. Instabuy for me! My wallet's taking a broadside, but I'm all-in for Old Ironsides & other silents Kino is mastering in HD for Blu-ray. On Amazon, Son of the Sheik dropped from $29.99 to $19.99 today. 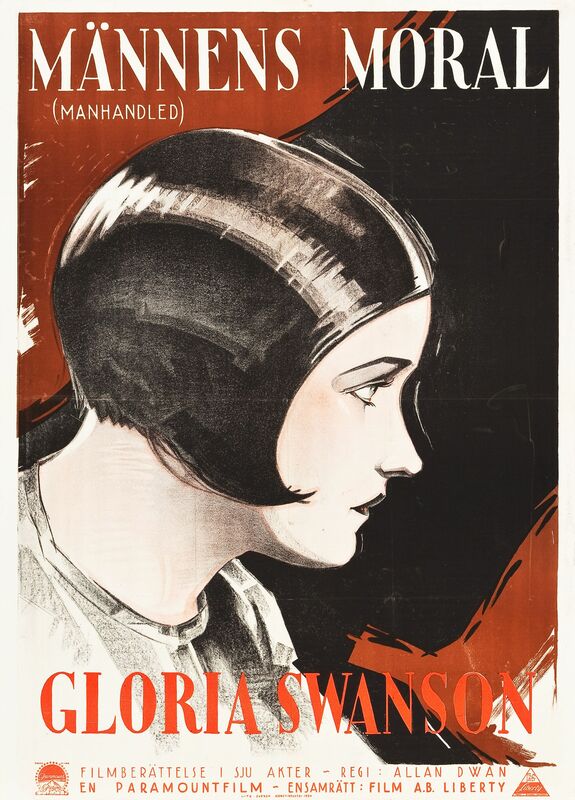 I am also posting this under the Silent Film Deals, but thought it was worth a mention in this thread. I remember seeing a still of the car, after having been driven all the way back to San Francisco, covered with traffic tickets written by the hundreds of motorcycle cops. Knowing the usual structure of comedy, I doubt that there as many gags in the missing reel as in the earlier chase -- so I honestly don't think we're probably missing that much material. The first time I saw Paths to Paradise, I didn't even realize the final reel was missing! Film lovers are sick people. 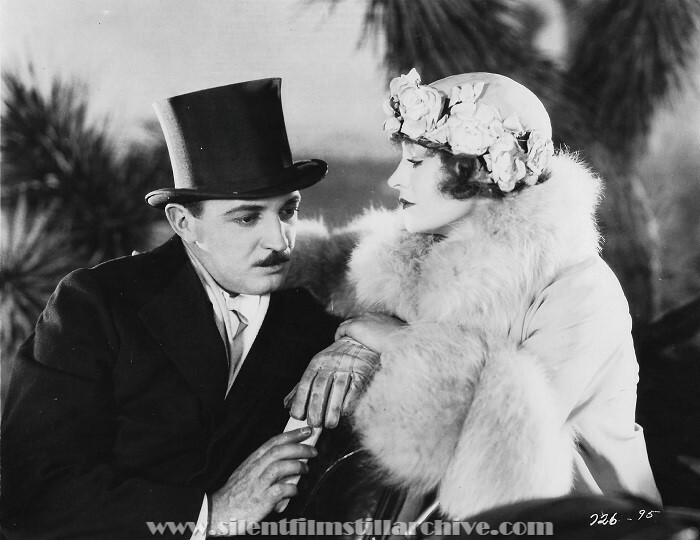 While I love both films, Paths to Paradise is more satisfying to me because of a witty screenplay and a strong performance by co-star Betty Compson. I only have a handful of stills from PtP, and none from either chase at the end of the film. I do have the still above, presumably after they have made it to Mexico after the first chase. I'm sure that the Academy and/or MOMA have many stills from this film. Bardelys was never missing any footage, the film in its entirety wasn't available for decades because the copyright was originally only bought for 10 years. In 2006, a nearly complete print of the film was found in France, missing only reel three. It was restored, using production stills and footage from the film trailer to stand in for the missing section, and made available in 2008 for U. S. theatrical and DVD release. missdupont wrote: Bardelys was never missing any footage, the film in its entirety wasn't available for decades because the copyright was originally only bought for 10 years. Mike is right, the only surviving print of Bardelys is missing the third reel (which had been replaced with an explanatory title). For Flicker Alley's release, they worked with several archives to replace the missing reel with still photos and titles from the Academy's library. The grey-market DVD releases of Paths to Paradise have likewise included a title at the end describing what happens in the missing reel. Given how enticing the brief snippet of Bardelys you see in Show People (1928) is, I'm very glad that the film was found, or released from copyright hell, or both. One of Vidor's loveliest love scenes. 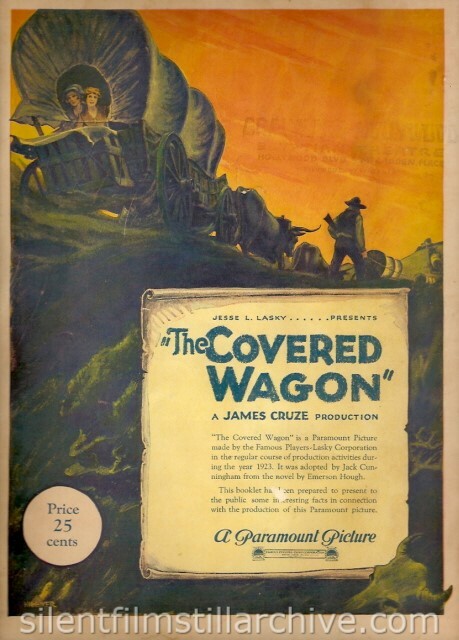 It's been announced; The Covered Wagon is coming from Kino in late summer. Mitch Farish wrote: It's been announced; The Covered Wagon is coming from Kino in late summer. Oh yeah! That is a definite buy from me. Bravo, Kino! I guess I'll be waiting for a good Kino sale. any of Clara Bow's silents? Beggars of Life has a street date of August 22.